Kyary, a hesitant young trainer sets out on his very first pokemon journey against his own wishes. Along the way he meets Flora, a young trainer with a love for fire pokemon. 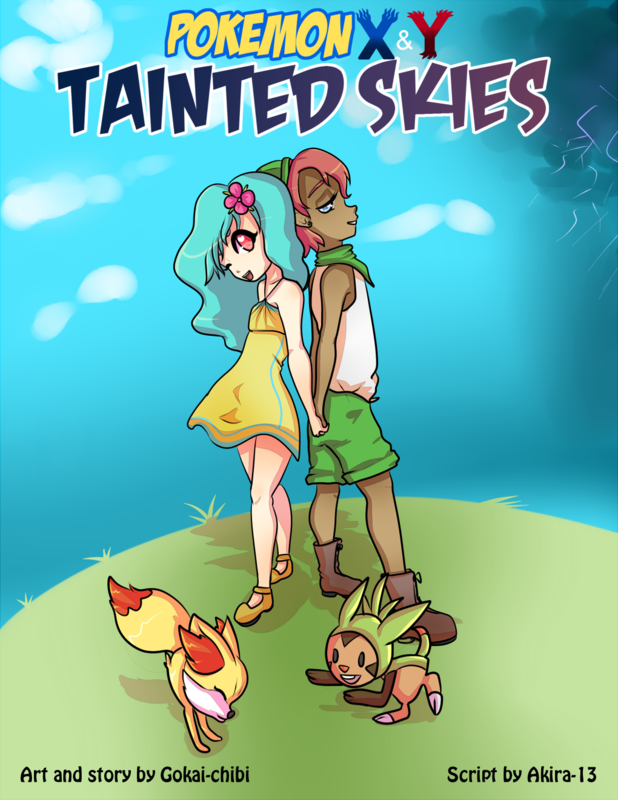 Traveling together through the Kalos region the two of them find themselves entangled in an underground tag battle circuit that shows them exactly how treacherous this beautiful world they live in can be. Well here we are my newest project, this a SFW project no sexiness this time sorry, other then maybe some settle fan service from time to time keyword being settle. For now I'll be updating this when I get to it, once I'm finished with my pokemon folio I will begin scheduling updates. Enjoy! last panel seems to be missing a couple words for the sentence to make sense.